Tu as une soeur? Aucune! Do you have a sister? None! Il n'aime aucun programme de télé-réalité. He likes no TV-reality show. Nous n'avons acheté aucune voiture. The construction ne… aucun/aucune + [thing] means none or not one, or no [thing]. 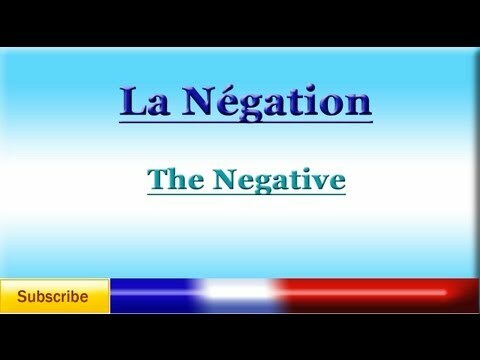 Don't both parts of a negation (ne + plus/jamais/que/etc) usually go before the participle? Mostly, yes. But not always. Aucune refers to voiture and therefore goes right before it. Merci pour votre réponse, Chris ! On lesson Ne...aucun(e) grade A2 there is no facility to go back or onto the next lesson. The problem was that if I was looking at lesson 8 for example and I wanted to check something in lesson 7, when I tapped on previous lesson it went back to lesson1. I just thought it was something overlooked in the changes that have been made. Hi Ron - I'm assuming that you were looking at the lessons from the context of your dashboard studylist in order for there to be a lesson order and next and previous buttons? Or was it from a notebook or other list? I'll log a ticket, but in future please contact support for technical issues like these as the Q&A is meant for language-related questions. I only used that lesson as an example. I wanted to bring to your attention that when looking at the list of ten lessons one can go forward to the next lesson.But if you want to go the previous lesson, if you tap on previous lesson and it takes you to lesson one. Thanks Ron - we'll look into it and get that fixed. In future, please report bugs or technical questions via the 'contact us' section or by email as they will usually then get to the technical team more quickly. Salut, In the example it says 'nous n'avons acheté aucune voiture' so does this not follow the normal rule with negatives that it goes around the auxiliary verb in the perfect tense? Merci! Bonjour Abby ! Here it doesn't as "aucun/e" acts like an indefinite article to "voiture", hence its agreement: -> We bought *no* car." "Aucun/e" will always be placed before the noun it refers to, just like an article or an adjective. I hope that's helpful! À bientôt !